2930 Thomas Rd is in the Crest Ridge Addition. You can get to the subdivision off of Ridge Road by Thomas Heights, or take Storey Blvd and turn south on Blue Bluff. This beautiful home is over 4,000 square feet on two levels and is designed as a family home. From the moment you walk in and see the gleaming hardwood floors, you will see the love that was put into this home. 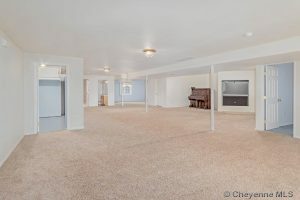 The grand entranceway separates into a massive living room on one side and two separate dining rooms. The first is adjoined to the kitchen while the second more formal could also be used as a beautiful sitting room or even a study. Two huge bedrooms are located on the north side of the home with a shared full bathroom and to the south side of the home, you will find an incredible master suite that is 22×14 in size. The bathroom which is all tiled has an oversize shower with room for a full jetted tub to be added. In addition, the laundry is located on the main floor for those who are looking for such convenience. As you make your way downstairs, the stairs open into an entertainment room that is about 34 ft in length. Off of this, you will find two more large bedrooms with another additional space that just needs one finished wall to make a sixth bedroom. Another full bathroom and two utility rooms finish off this great basement. The owners previously had a full-size pool table at one end of the entertainment room and this is now waiting for you, your family, and all your toys. There are three garage spaces situated at the front of the property and to the south side of the home, you could park up to two full-size RVs on the 92′ full concrete pad that runs almost the length of the property. 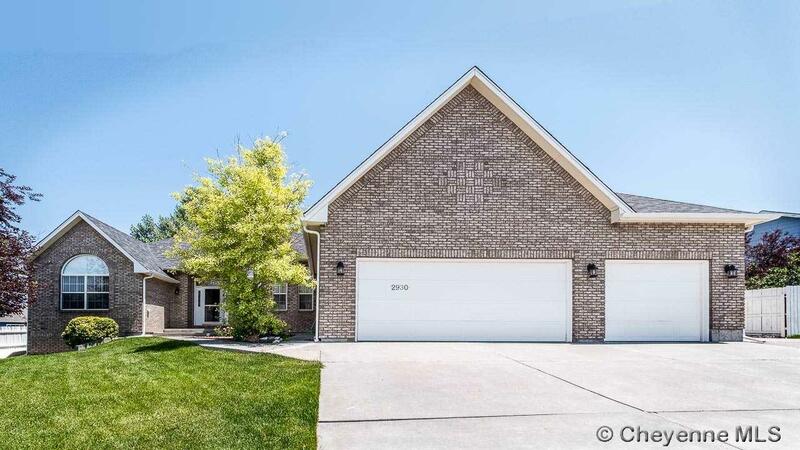 The front and back yards are well-landscaped in this quiet neighborhood. This home sits on a 12,000 square foot lot. Ah, you thought I forgot to mention the allowance. Well, I didn’t. In addition to the recent $15,000 price reduction, this additional allowance was just approved on Saturday by the owner. This needs to take us back upstairs to the light and wide open kitchen. The owner recognizes that people want to make a kitchen and paint schemes their own. With that in mind, he is offering $10,000 to put in granite countertops or to fully repaint the interior of the home. As he is a building contractor, he already has bids and can get this done to your selection choices. With all that this home has to offer, I think you will find it more than rivals even newer builds and is priced reasonably at $430,000. The County Assessor has the home valued at $469,000. Come view 2930 Thomas Road today and make an offer before somebody else ends up enjoying the space.